The Desert Fathers and Mothers were the first to write about the Prayer of the Heart, also known as the Jesus Prayer. The Prayer of the Heart is a prayer, repeated over and over, that unites heart, body and mind in rhythm with a simple phrase. 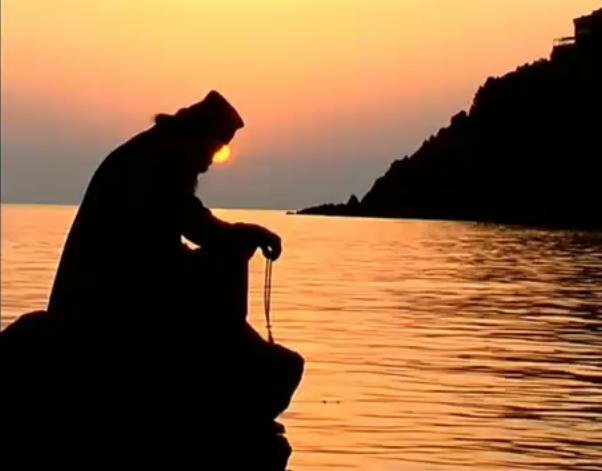 The Jesus Prayer over the centuries has been at the heart of Eastern Orthodox Christian spirituality. In the mid-nineteenth century, an anonymous pilgrim in Russia, suffering grief over the death of his wife, began to travel the countryside, looking for holy advisers to help him learn how to “pray without ceasing” (1 Thessalonians 5:17). A holy man told him about the Jesus prayer, which, if repeated over and over, would become a part of him, even in his dreams. The pilgrim wrote about his journey with the prayer, and how he touched the lives of many other people, in the spiritual classic, The Way of a Pilgrim. The Jesus prayer is repeated again and again, in the simple belief that calling on the name of Jesus has its own power, according to the scripture: “Everyone who calls on the name of the LORD shall be saved” (Joel 2:32). Many Christians have found that the practice of the Jesus Prayer helps them particularly in times of trouble, pain or stress; when one cannot think of the proper words to ask God for help, the simple repetition of the Jesus Prayer brings comfort. Jesus Christ, Son of David, have mercy on me. Jesus Christ, have mercy on me. Jesus Christ, Son of God, have mercy on me. Lord, have mercy; Christ, have mercy; Lord, have mercy. The last phrase, “a sinner,” may seem harsh, but of course it is the truth – and praying this prayer allows us to admit the truth of who we are, and put our whole trust in Christ’s grace and love. To practice this prayer, try the following steps: Set for yourself a certain amount of time during which you wish to pray the prayer (say, fifteen or twenty minutes), or a certain number of repetitions, which you may count with the assistance of a rosary or a knotted rope. To begin: place yourself in a place of absolute silence, undistracted. Lights should be dim to avoid visual distractions. Focus on the heart, the spiritual center of your being, head bowed, attending to your breathing. Pray in rhythm with your breathing. If you like, use a rosary to count repetitions.